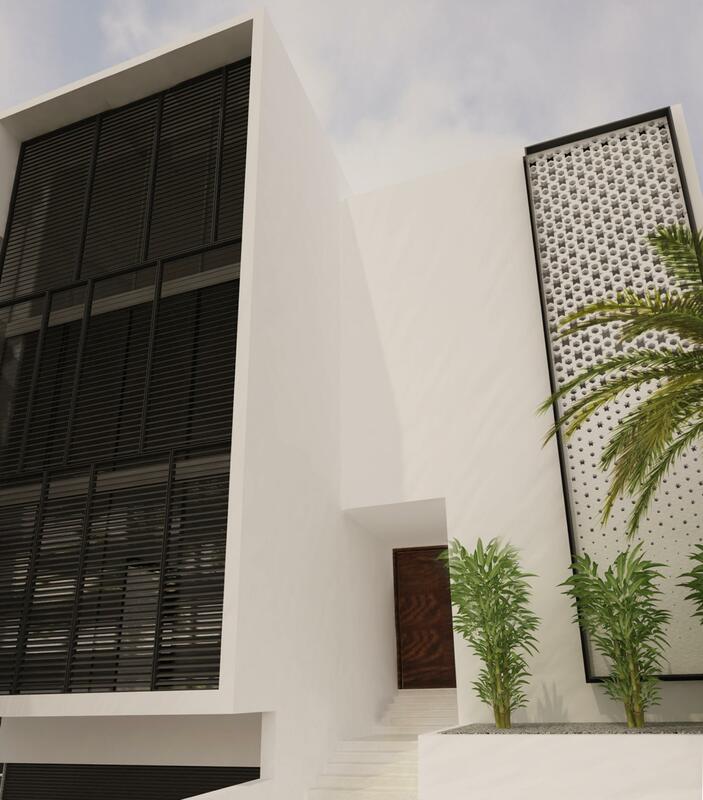 Carbon, in collaboration with local developers, has designed a Prototypical Townhouse to address the Upper Middleclass housing needs throughout the Middle East. 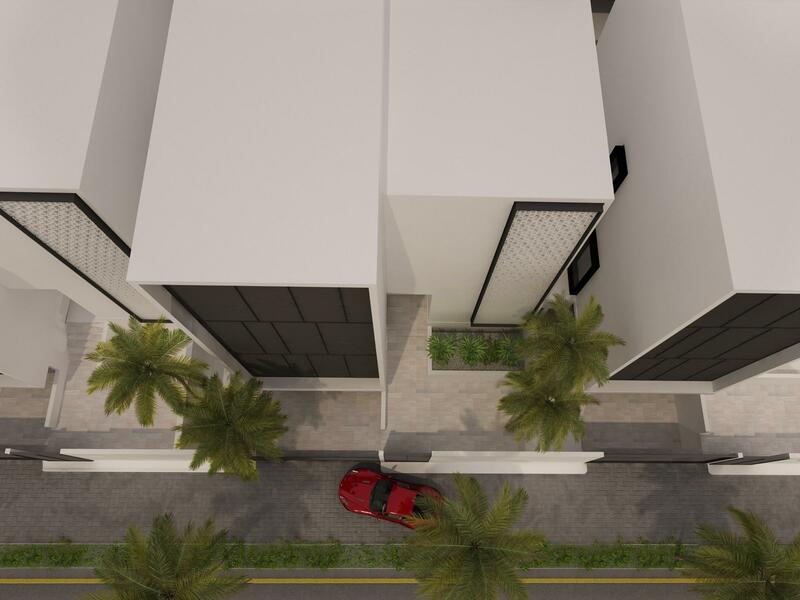 Designed for modern living with smart systems for cooling, water and waste and electrical needs, these homes will be of the highest specification and design detail; offering western living with Middle Eastern lifestyle taken into consideration. The design challenge was to build on half the land as required for a typical luxury home. 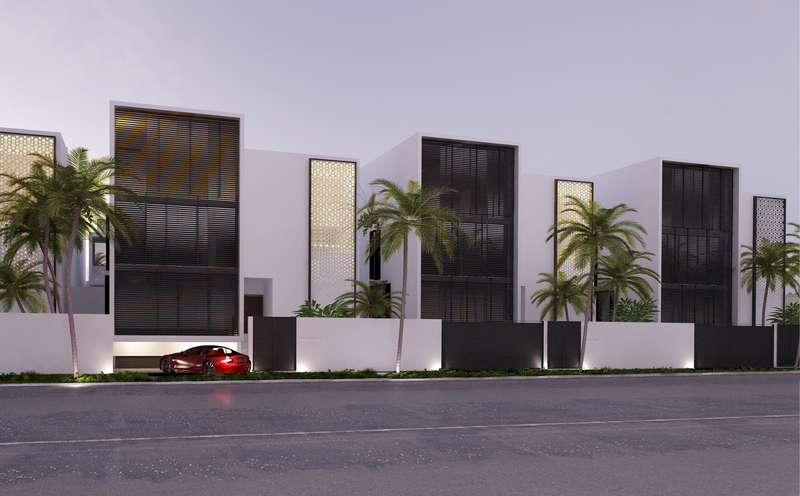 By maximising the potential of a typical building plot, the aim was to maximise financial returns, at the same time introducing a quality and style of living that is new to the region. 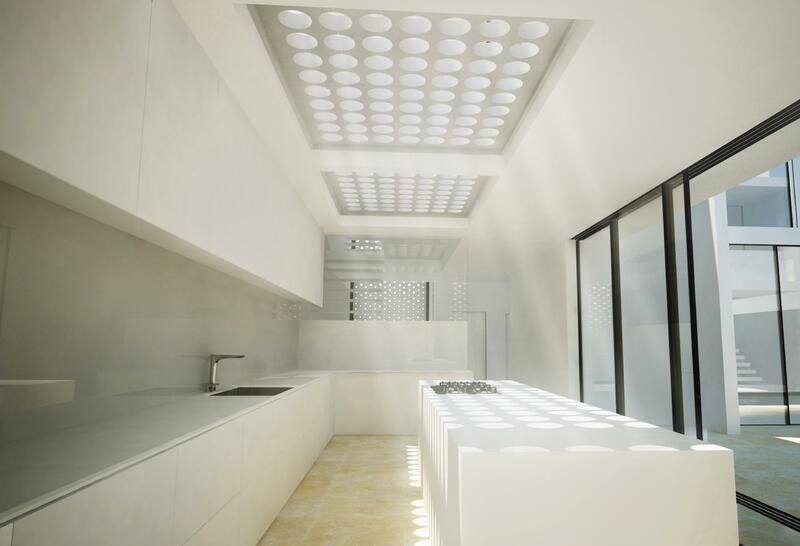 Minimalist style is based on the ideas that “less is more” meaning the less objects the better the space will look. 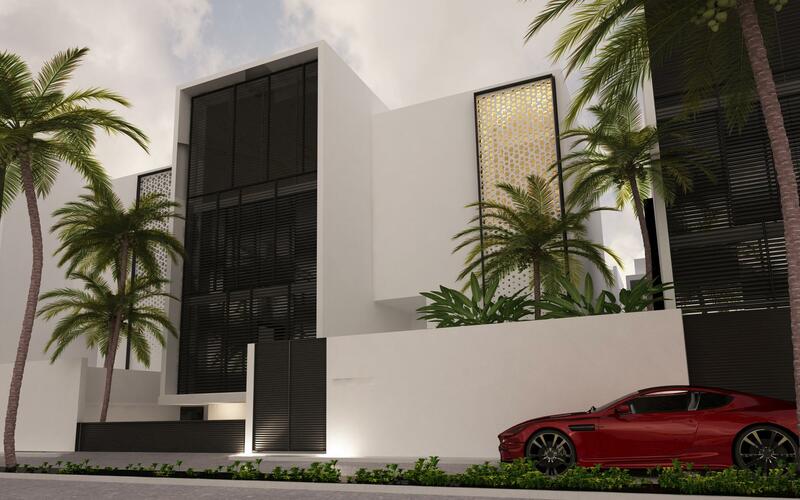 This family house, impresses with the select, luxurious material used, the well-chosen colour compositions and the minimalist language. 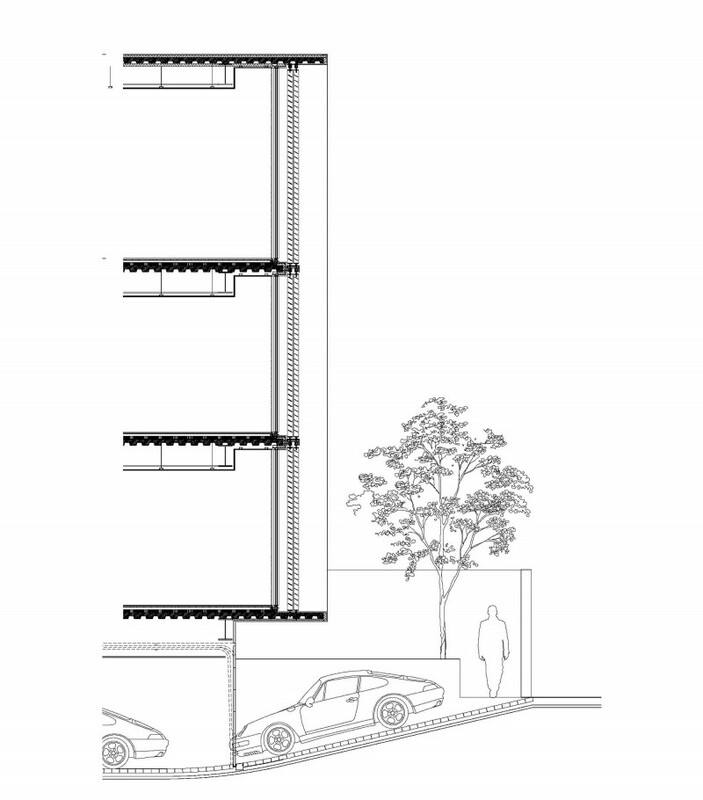 On the ground floor a path connects to a kitchen, dining and living area, while a stairway leads up the bedrooms and a secluded roof terrace. 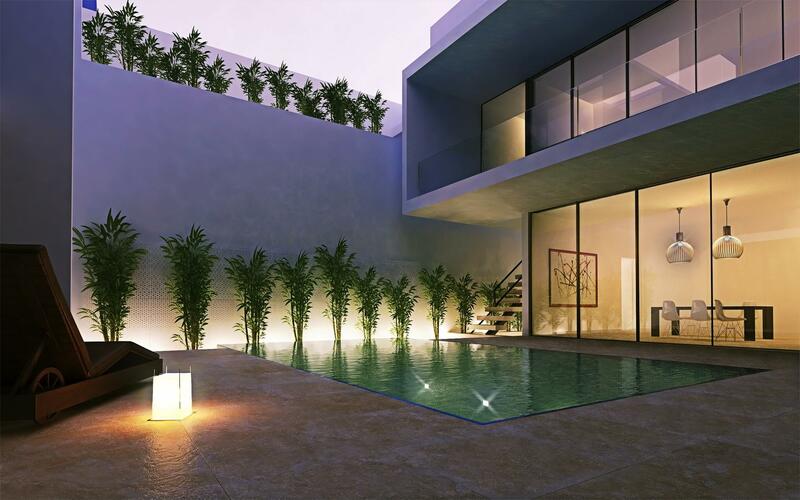 The spacious living room opens up to a inner courtyard. 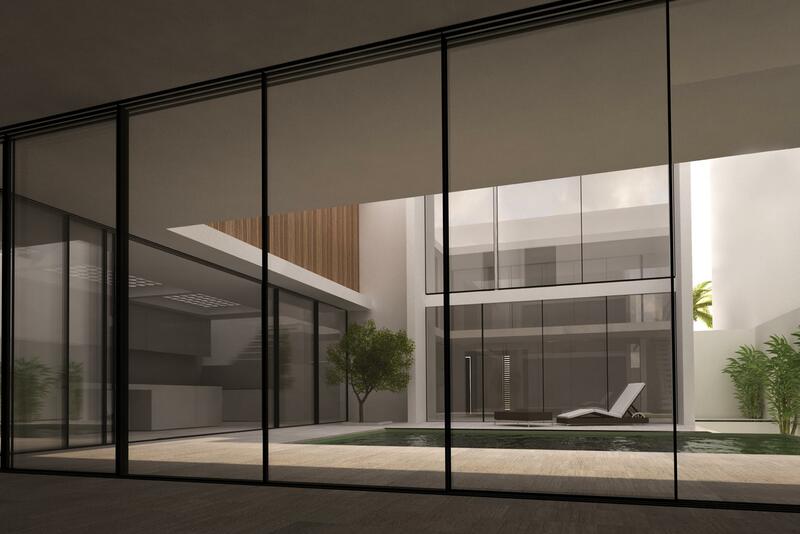 Two floor – ceiling windows connect both courtyards. The annexed exterior was designed in accordance to the rest of the house layout using clear geometric structures. 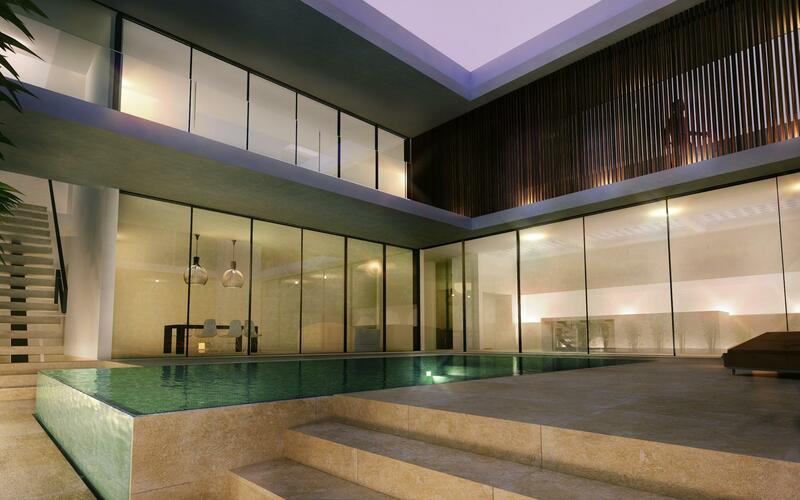 Above all, the extended pool attracts immediate attention.